Jade Sapphire's Zageo 6-Ply Cashmere is 100% Mongolian cashmere and 100% beautiful! 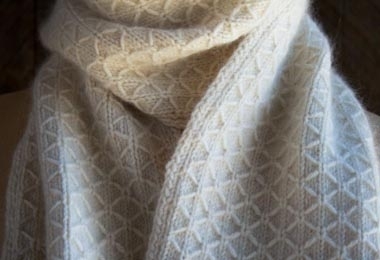 Superbly soft and always pure, this is cashmere at its best. The gorgeously hand-dyed Zageo 6-Ply Cashmere is perfect for a lightweight fabric with all the cozy warmth of cashmere. Use it to knit up sweaters, baby gear, hats, mittens, cowls and scarves!